In fashion, the right accessory can often make an impactful difference; a subtle jewelry piece, a perfectly-selected pair of shoes, or a powerful pop of color via accessory of choice. Much like in fashion, a properly selected event accessory can create tremendous “wow” factors to complement your event’s other entertainment elements. It’s very understandable that at first glance, a photo booth, or photo station, seems like an independent amusement feature with the sole purpose of short-lived merriment. Even I have personally stated on-record that a photo booth is “a cute addition to a celebration”. A recent epiphany made me realize that I was wrong (I don’t admit that often - don’t get used to it). A photo booth, or photo station, can be so much more than a simple accessory. Just as in fashion, if properly utilized, it can elevate your overall presentation to new levels. At times, it can even be the focal point, depending upon event. Aside from being an accessory to the celebration’s entertainment, a photo booth/station also provides key takeaways that guests will be able to admire and reminisce over long after the celebration concludes (a guest book, a photo strip, a photo taken on their phone while interacting with the booth/station, etc.). 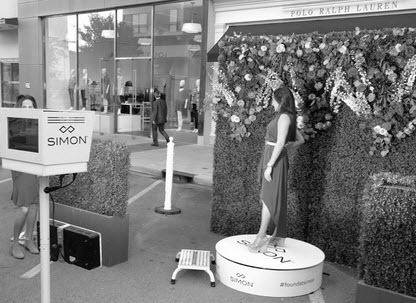 Not only is this an excellent sentimental bonus for love-based events such as weddings, and Bar/Bat Mitzvahs, but having branded elements for the guests to take home from their photo booth/station experience is a valuable advantage for corporate events. Whether it’s a company’s holiday celebration to showcase their appreciation to their employees, a product launch focused on introducing a new product/service/idea to the market, or a recurring event meant to keep a brand top-of-mind, photo booths/stations have endless possibilities for not only branded components, but for sponsor(s) information as well; as many top-tier corporate events are often collaborative efforts by various corporations. Aside from realizing the true value of a photo booth/station, I also came to realization that, like many things in life, it’s also all about how you utilize these booths/stations. A key factor to consider when commissioning a photo booth/station is timing. All photo booths/stations have an attendant - and for good reason. They are essentially the directors of the interaction that your guests will have with the booths/stations. Imagine that you are making your grand entrance into the room, fashionably confident, and then an aptly-timed spotlight hits those new shoes that you purchased specifically for the event. Attention directing perfection, right? Yes, but unfortunately that doesn’t actually happen - especially when you’re a guest. But when the booth/station is closed, and the rush of anticipation is satiated by the attendant officially opening it up for service once, for example, salad concludes…that can be accessory interaction direction perfection. Another key element to consider is selecting the proper type of photo booth/station. There are many…and I mean MANY, varieties of photo booths/stations (feel free to explore our options). Selecting which will work best for you will be a decision that you must make based on the intent for the accessorizing, total guest count, space permitted, and uniqueness. An often under-considered element is appropriate duration. This basically means that for some events, say a 2-hour sophisticated cocktail reception, it may be fully appropriate to have the booth/station operating from start to finish, while for others, like an elegant 5-hour wedding reception with various formal elements, having the booth/station operating while toasts are being delivered or food is being served, will not be favorably perceived. Clearly, and continuing the fashion analogy, there are endless possibilities when it comes to accessorization. Admittedly, it can be a difficult decision, but with proper preparation, analysis, prioritization, and professional guidance, you can accessorize to make sure that your event stands out from the crowd for all of the right reasons.